← Government Releases Spring 2013 Sea Otter Survey – Good News for Our Otters! 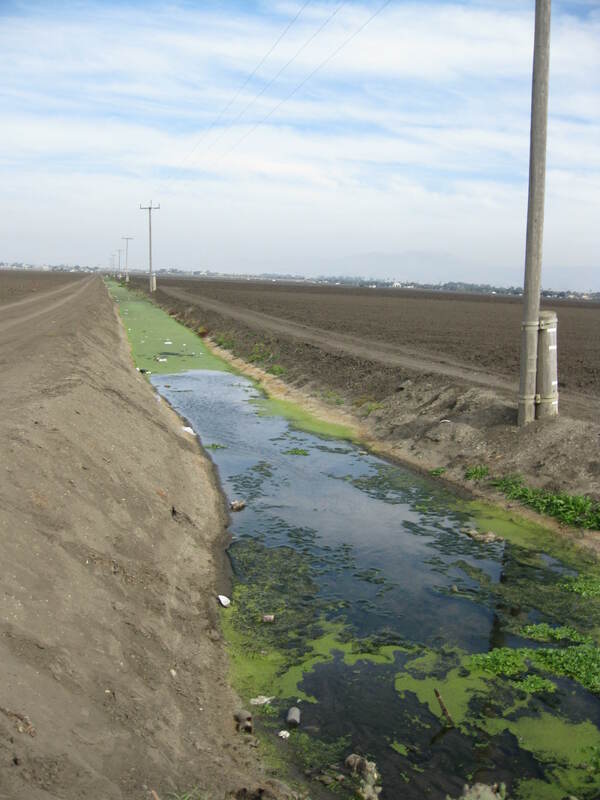 Water that drains from farm fields has high levels of nutrients and pesticides. Nutrients stimulate algae – sometimes toxic species – that can wash into the ocean and kill marine life such as endangered sea otters. Scientists have learned that otters are swimming in contaminated waters, and many are dying from a deadly cocktail of diseases, parasites, and toxic compounds washing from land. The Otter Project first became concerned about agricultural pollution in 1998 after reading a study (Nakata et. al, 1998) finding dangerously high levels of the banned pesticide DDT in tissues of sea otters found dead along the California coast, especially offshore agricultural areas. DDT levels in some otters were high enough to cause immune suppression and even outright death. DDT was banned many years ago but it persists in soils for many decades. The Otter Project believed that better soil conservation practices would benefit otters. In 2003, a huge peak in California sea otter deaths caught national attention and federal agencies linked the cause to blooms of the phytoplankton Pseudonitzschia australis. P. australis can produce the toxin domoic acid that causes shellfish poisoning in humans and can lead to deadly seizures in marine birds and mammals such as shearwaters, sea lions, and otters. More recently, these toxic algal blooms have been linked to agricultural discharges: “We have seen a 30- to 100-fold increase in domoic acid in water samples in the last decade or so,” said Clarissa Anderson, a biological oceanographer at UC Santa Cruz. “We think that the toxicity of these blooms is related to agricultural runoff,” Anderson said. In 2009, dead otters began washing ashore near the mouths of streams carrying waters highly enriched with nutrients including farm fertilizers. Scientists stated, “Ocean discharge of freshwater microcystins was confirmed for three nutrient-impaired rivers flowing into the Monterey Bay National Marine Sanctuary… Deaths of 21 southern sea otters, a federally listed threatened species, were linked to microcystin intoxication.” To date, more than 40 otters have been found dead from microcystin poisoning. The inland valleys of California’s central coast are intensively farmed for 9 to 10 months of the year. 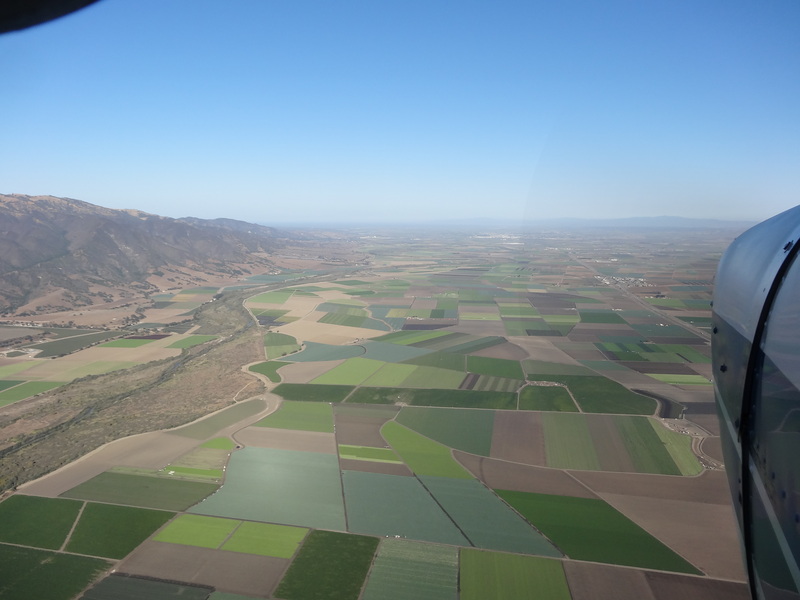 The Otter Project monitors the coast and Salinas Valley by small plane. One grower threatened to shoot the plane down. The Salinas River is to the left and Monterey Bay in the far distance. In May, National Geographic magazine featured an article, “Mixed Blessing: If we don’t watch out, agriculture could destroy our planet.” The story chronicled global overuse of nitrogen fertilizers. America’s Breadbasket in the Midwest has created a dead zone in the Gulf of Mexico and America’s Salad Bowl in California’s central coast is killing endangered sea otters; clearly, sea otter and ocean health are closely tied to agricultural discharges. It’s not just sea otters: Marine birds and mammals are dying in the thousands. As our oceans are poisoned, fisheries and the communities that depend upon them are dying too. The Otter Project exists to promote the rapid recovery of the California sea otter, an indicator of near shore ocean health, by facilitating research and communicating research results to the general public and policy makers.